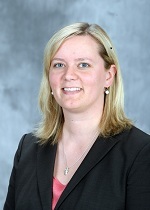 Education Jacki earned her bachelor’s degree in managerial accounting from the University of Wisconsin-Stevens Point. She later completed her master’s degree in sport administration from Central Michigan University. Experience Prior to arriving at the U, Jacki was Assistant Director of Athletic Academic Support at Florida State University where she over saw academic support for the football and softball teams. She also spent seven years at the University of Cincinnati most recently as the Director of Academic Services, Academic Support Assistant at Marquette University, and Assistant Softball Coach at UW-Stevens Point. © 2012 Regents of the University of Minnesota. All rights reserved.